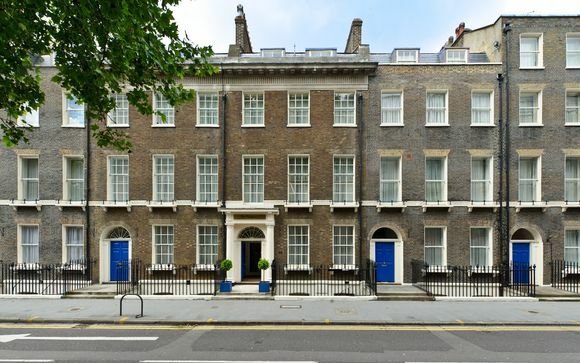 The Academy is wonderfully located in the heart of Bloomsbury, an area renowned for its literary history, with Charles Dickens and Virginia Woolf being former residents. You are just a short walk from the British Museum, containing over 8 million works, documenting culture across the centuries. 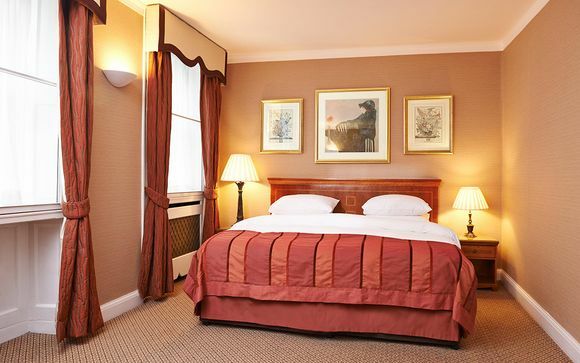 A charming boutique hotel in the heart of Bloomsbury - welcome to The Academy. Made up of five restored Georgian townhouses, it offers just 49 rooms, a cosy library, a beautiful conservatory and a homely sitting room - the perfect place to return to after a day in the bustling city of London. The Academy is set in Bloomsbury, at the heart of London's West End. Its strong literary heritage and beautiful, secluded gardens make it a truly unusual hotel in Central London. Standard Rooms offer either a queen or twin beds with beautifully restored Georgian interior design and suitable furnishings, making you feel like true gentry. They offer guests a complimentary shoe shine, daily newspaper and a tea and coffee making facility so you can start your day just right. 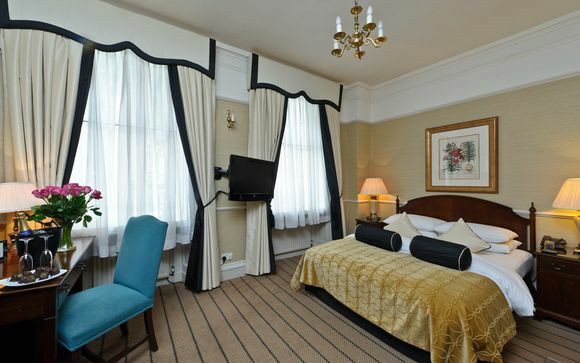 As well as the luxurious king-size beds, the sofas unfold into a double bed, allowing The Academy to offer some of the finest family hotel suites in London’s West End. The Junior Suites all feature Nespresso machines and contain larger TVs than the rooms, giving a true space to relax. Each Junior Suite is individually named after famous artists and writers in the ‘Bloomsbury Set’, including Virginia Woolf and John Maynard Keynes. The suites feature large living areas complete with corduroy sofas and mahogany-coloured coffee tables. A number of the rooms have grand marble fireplaces under large mirrors. 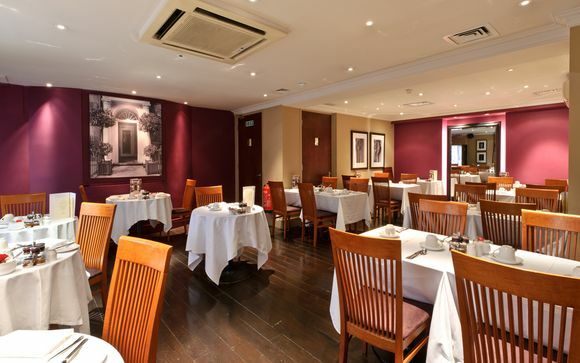 The Alchemy is the main restaurant area, where you can tuck into your delicious daily breakfast and other meals. For those who wish to spend some extra time in bed, you can be served from the comfort of your bedroom, as well as in the library or private garden - the choice is yours. Start your day with either Continental or full English Breakfast. Later on, choose from a variety of options such as sandwiches, pizzas or Thai curry to satisfy your hunger. The Academy is well connected, with seven London Underground lines within close proximity and four National Rail Stations within an easy walking distance.